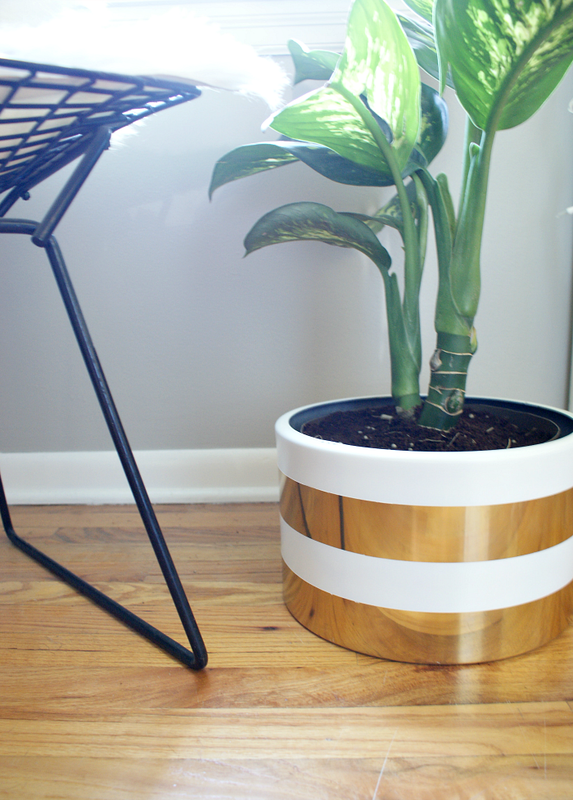 I snagged this faux brass bucket thing at a thrift store and thought it might look good with white stripes and a tall-ish house plant. Spoiler alert: It does! 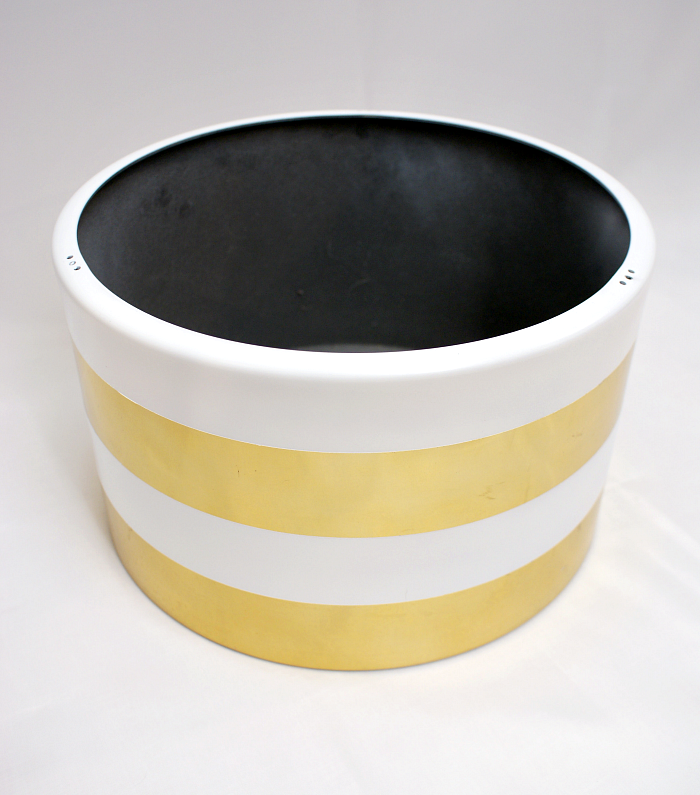 First, I added two bands of wide Frog Tape to the bucket, rubbing it as I went to make a good seal. I'm a lazy crafter so I just eyeballed it for straightness, but it would be smart to measure and mark your widths. After the tape was down, I hung the bucket up outside by putting the hook part of a wire hanger through one of the little holes and looping the body of the hanger over our laundry line pole. I use that trick a lot, I should snag a picture of it sometime. Then I sprayed the bucket with white primer followed by a thick coat of white spray lacquer. It was so humid outside yesterday that I had to move the bucket to the basement or it never would have dried. I was so excited, I could hardly wait to peel back the frog tape and when I finally did (a whole thirty minutes later), I was thrilled! I tell ya what, Frog Tape is legit! I can't believe how crisp and clean the lines on this project turned out. This isn't a sponsored post, I just REALLY love Frog Tape. I'm so pleased with how this turned out! 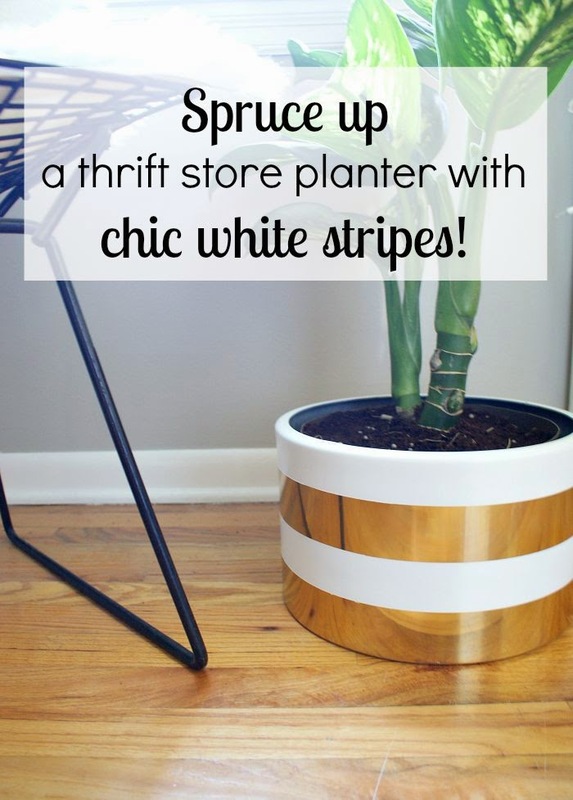 I was originally envisioning a snake plant for the bucket, but the hardware store didn't have any that were large enough, so I settled for a dieffenbachia, which we named "Linda Two" after the first dieffenbachia I slowly killed last year, which was a gift from Jesse's Aunt Linda. Are we strange, or does anyone else name their plants? Love, love, love it! Such a simple change and now it has more character. I (more than) love this! It went from 1985 to 2014 and is so cute!!! Thanks for stopping by Amanda! Have a great weekend! G'Day from Oz! That looks so different-what a great project. I love that chair too! 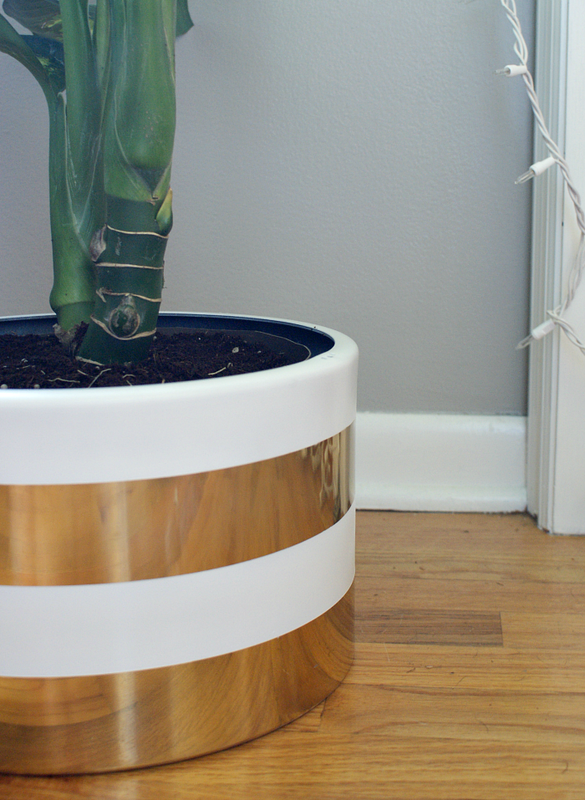 I love this planter, great find and great makeover! Thanks for sharing at Link It or Lump It, I'll be featuring you next week! looks a lot better than when you got it! i don't do any plants but snake plants, lol, cuz i think of them as unkillable!